Download Google Pay and add your Orange Credit Union Visa Debit card to start making simple, secure purchases today. 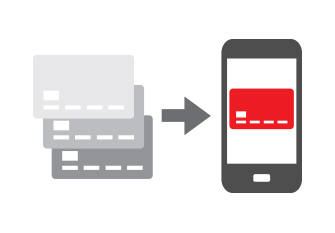 Google Pay allows you to use NFC capable Android devices running KitKat 4.4 and above to make payments. It brings together everything you need at checkout and keeps your payment information safe in your Google Account until you’re ready to pay. You don’t even need to open the app – simply unlock your device or wake your device by tapping the home or power button to pay in person with a tap of your phone. You can use Google Pay wherever contactless payments are accepted - just look for the Google Pay and/or the contactless payment logo on the payment terminal. For transactions over $100 you will need to enter your PIN at the terminal. With Google Pay, you can pay with a few quick clicks in apps and on the web. No need to enter your payment information. Simply select the Google Pay icon at the checkout. Download NOW and add your Orange Credit Union Visa Debit card. 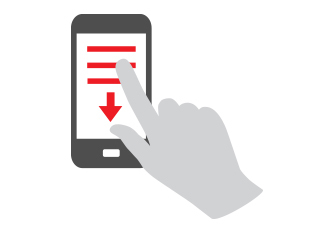 No need to launch the app during payment – just unlock your device. Google Pay offers a smart way to make fast purchases with your Visa Debit card, across compatible Android devices that is both simple and secure. Google Pay doesn’t send your actual Visa Debit card number with your payment - so your card details stay safe. You’ll know exactly when and where your transactions occur - making it easy to catch any suspicious activity. And if your phone is ever lost or stolen, you can instantly lock your device from anywhere, secure it with a new password, and wipe it clean of your personal information. Android, Google Pay, and the Google Logo are trademarks of Google LLC. Google Pay is a free app that allows you to pay with your Orange Credit Union Visa Debit card with a tap of your phone while enjoying the same benefits and protection of your physical card. Just add your Orange Credit Union Visa Debit card and you’re ready to tap and pay for purchases. 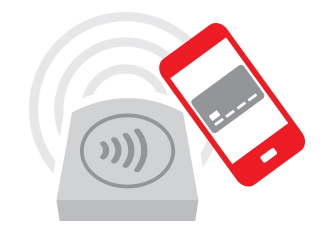 Use Google Pay in participating mobile apps and anywhere contactless payments are accepted. Is using my Orange Credit Union Visa Debit card in the Google Pay app safe? All smartphones that are enabled with NFC technology, have Android KitKat 4.4 or above operating system and have an Australian carrier, are compatible with Google Pay. To make a purchase in a mobile app, select Google Pay at checkout. Your Orange Credit Union Visa Debit card and address details will be automatically added. When you use your Card in the Digital Wallet our Electronic Access Facilities & ePayments Conditions of Use will apply to the transaction. You must protect and keep confidential your User ID, phone lock, passcode, passwords, and all other information required for you to make purchases with your Card using the Digital Wallet. Always protect your passcode by using a unique number or pattern that is not obvious or can be easily guessed. Take precautions when using your Digital Wallet. Try to memorise your passcode or carefully disguise it. Never keep a record of your passcode with your device, on your device or computer, or tell anyone your passcode. You may become liable for any unauthorised transactions if you unreasonably delay notifying us. When you load the Card into the Digital Wallet, there is a sharing of your personal information between us and the Digital Wallet Provider, and between you and the Digital Wallet Provider and applicable card scheme.